The world's top-ranked tennis player now has a career Grand Slam. Rafael Nadal defeated third-seeded Novak Djokovic in the men’s singles final of the U.S. Open in New York on Monday night, 6-4, 5-7, 6-4, 6-2. The match ended almost six hours after it began. Rain interrupted the second set for about two hours. The win gives the 24-year-old Spaniard his first U.S. Open title. He becomes the seventh man to win all four Grand Slam singles titles for his career, and he has nine Grand Slams overall. A judge in Orangeburg County, South Carolina, denied bond Monday for a woman charged with two counts of murder in the smothering deaths of her two young sons last month. Shaquan Duley, 29, wiped away tears and held her head in her hand throughout the hearing as relatives and friends asked Judge Edgar Dickson to grant her bond. "My daughter has never been in trouble with the law until now," said Duley's mother, Helen Duley. U.S. Border Patrol agents fired gunshots into Mexico over the weekend after being attacked during a marijuana seizure in Mission, Texas, the agency told CNN on Monday. The incident between border patrol agents and alleged drug traffickers took place around 7:40 a.m. Saturday, Border Patrol spokeswoman Rosalinda Huey said. "Our agents were being fired upon and they did respond with fire back into Mexico," she said. "I don't have the number of how many people were involved. But none of our agents were injured." Agents seized over 1,000 pounds of marijuana during the incident, according to Huey. The incident is under investigation by the Drug Enforcement Administration, the FBI and the Mexican government, Huey said. [Updated, 6:34 p.m.] The owner of the New York Jets has apologized to a TV Azteca reporter following allegations that Jets personnel harassed her at practice this weekend, and she has accepted, the reporter told CNN's Rick Sanchez on Monday. The NFL says it is investigating media reports that Jets players behaved inappropriately - including allegedly hooting and hollering at her in their locker room - when Ines Sainz visited the team Saturday to interview Jets quarterback Mark Sanchez for the Mexican TV network. Sainz said Monday that Jets owner Woody Johnson called her to apologize. ESPNNewYork.com reported earlier Monday that Johnson said he offered an "open apology" to her. "I accept the apologies, and I said thanks to him for the concern and all the rest of the team, because he promised that he is going to make everybody on his team respect … women," Sainz said on CNN's "Rick's List." "And I think the important point is that women deserve respect in any profession, so I think it's going to happen." Sainz said that although she told Johnson not to worry, she did feel a little uncomfortable because of players' behavior in the locker room, and that she thinks the behavior was unacceptable. "I think that it’s not good that this kind of thing happened, and it mustn't happen anymore. I'm agreeing with the idea that it's good that everybody knows that a woman or a man deserve the same treatment in the locker room," Sainz said. California utility Pacific Gas and Electric will set aside up to $100 million to help rebuild parts of the San Francisco suburb ravaged by a deadly gas explosion last week, the company's president said Monday. The money includes payments of up to $50,000 per household for interim living expenses and money to compensate the city for San Bruno for the costs it incurred since Thursday night's pipeline explosion and fire, PG&E President Chris Johns told reporters. Other funds will help the city rebuild things like parks and sidewalks, he said. "I realize money can't return lives, can't heal scars and can't replace memories. Some of the things that have been lost, you can't put a value to," Johns said. "But there does come a time for healing and for rebuilding, and we are committed to helping that happen." The fire began when a gas transmission line ruptured in San Bruno, near San Francisco International Airport. The blast blew in the doors of a grocery store a quarter-mile (400 meters) away, and the explosion and resulting fire killed at least four people, injured 52 others and destroyed 37 homes. BP has begun drilling its first relief well, the company announced in a statement Monday. Drilling began at 2:40 p.m. ET after a sleeve was successfully installed over the well over the weekend. 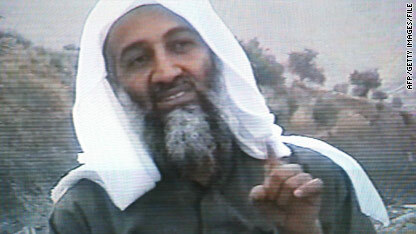 A European intelligence official has disclosed new information about the hunt for Osama bin Laden. Western intelligence agencies were able to form a detailed picture of Osama bin Laden’s movements in the years after 9/11; and came closer to capturing or killing him than has so far been acknowledged, a former European intelligence official has disclosed. The former official, who declined to be identified, told CNN that in 2003 and 2004 an informant in the Afghanistan-Pakistan border region with close connections to Al Qaeda’s top leadership provided a stream of reliable information on bin Laden’s movements. But the information was never quite fresh enough for Western intelligence agencies to target Al Qaeda’s leader. Nearly nine years ago, bin Laden and others in the al Qaeda leadership escaped as its last haven among the caves and mountains of Tora Bora – close to the border with Pakistan - came under withering U.S. air attacks. Despite being the world’s most sought after fugitive, to date very little has been reliably reported about his movements beyond a consensus that he is now likely hiding somewhere in the tribal areas of Pakistan. The former official said that in the period after Osama bin Laden left Tora Bora, under pressure and on the run, he and his lieutenants were little able to communicate with each other. But gradually, al Qaeda restored its communications and was able to resume meetings. Umar Farouk AbdulMutallab, the man accused of trying to blow up a plane last Christmas, said in court Monday he no longer wants to be represented by federal defenders and would act as his own attorney. Judge Nancy Edmunds granted his request and appointed him standby counsel. She also asked him a series of questions about his knowledge of law, the case and the charges he faces. AbdulMutallab, the British-educated son of a Nigerian bank executive, is suspected of trying to set off a bomb hidden in his underwear aboard a plane from Amsterdam, Netherlands, to Detroit, Michigan, on December 25. Filed under: Michigan • Terrorism • U.S.
Novak Djokovic, left, and Rafael Nadal will try again today to go after the men's U.S. Open title after weather delays kept them from playing Sunday. For the first time since Reggie Miller, Shaquille O'Neal and the rest of the 1994 team took the gold, the United States has won the FIBA World Championships. Pitted against host country Turkey, Team USA cruised to an 81-64 victory Sunday night. But while Team USA’s performance at the worlds was impressive enough to garner attention all on its own, what was more impressive was the fact that they won with a roster lacking a traditionally star-studded line-up. As SI.com’s Jack McCullum explains, Team USA was poised to have the likes of such NBA power players as Kobe Bryant, LeBron James and Carmelo Anthony on its roster. But as each backed out for personal and professional reasons, the defense-oriented “B-Team” emerged as a young squad searching for their identity on the court. Though generally touted as the favorites to take the gold, Team USA worked diligently to prove its ability to mesh on the court and ultimately reaped the benefits of a strong defense and the offensive prowess of one Kevin Durant. After an American victory on Turkish soil at the worlds, we turn our attention back to the U S of A for the men’s U.S. Open finals and the Jets-Ravens opener. Rafael Nadal vs. Novak Djokovic (4 p.m. ET) – After Mother Nature caused the men’s U.S. Open final to be rained out Sunday, Rafael Nadal and Novak Djokovic will square off today at Arthur Ashe Stadium. The women’s competition wrapped up this weekend, with second-seeded Kim Clijsters taking her third U.S. Open title against Vera Zvonareva. [Updated at 1:01 p.m.] U.S. Capitol Police Sgt. Kimberly Schneider tells CNN an "all clear" has been given after the discovery of a suspicious powder led to evacuations of parts of the U.S. House Gallery. [Posted at 12:30 p.m.] Parts of the U.S. House gallery have been evacuated while authorities investigate some powdery substance on the Gallery's floor, U.S. Capitol Police Sgt. Kimberly Schneider tells CNN. A law enforcement source tells CNN the Capitol Police have evacuated galleries on the third floor, where tourists go to view the House chamber, as well as galleries for the press. The House is still in recess, as members prepare to return to session tomorrow afternoon. - CNN's Deirdre Walsh contributed to this report. [Updated at 2:38 p.m.] Governor of Bolivar state said on VTV that 14 people are confirmed dead in the plane crash. [Updated at 12:58 p.m.] Of those 23 people taken to the hospital, two died, said Yanitza Rodriguez, director of the Hospital Uyapar. The other 21 people were being treated, she said. Aerial photographs show it crashed in an industrial junkyard. A man who identified himself as Ivan Maradey told CNN he witnessed the crash and saw the plane tumble into some power lines before hitting the ground and exploding. There were conflicting reports over how many people were aboard. Are you there? Send your photos, video, stories to CNN iReport. 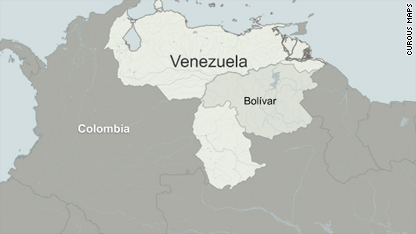 Read continuing coverage of the plane crash in Venezuela here. [Updated at 12:10 p.m.] Twenty-three people were taken to local hospitals in the city of Guayana, said Bolivar state Gov. Francisco Rangel Gomez. 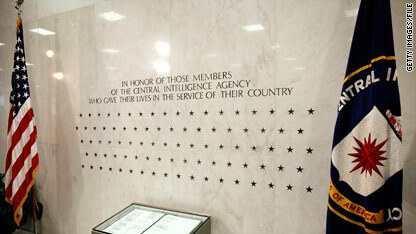 The Memorial Wall at CIA headquarters in northern Virginia. To call it "shifting gears" would be an understatement. Robert Richer was used to avoiding the spotlight, as were his colleagues who worked at the CIA. They saw themselves as the silent professionals. But when a suicide bomber took the lives of several of Richer's ex-colleagues last year in Afghanistan, the former No. 2 man in charge of clandestine operations at the CIA decided to sport spandex and launch the mission of his life over the weekend with a cross-country bike ride called "Pedaling for Patriots." In December, the suicide bomber killed five of Richer's colleagues as well as CIA security contractors and a Jordanian Intelligence official. The victims were preparing to meet the man who, unknown to them, was working as a double agent for the bands of al Qaeda hiding in a remote region along the Afghanistan-Pakistan border. When the man arrived at the remote Afghan base, he detonated his explosives as everyone gathered to greet him. Many of the victims died instantly; others sustained serious injuries. The agency added their stars to the Memorial Wall at its northern Virginia headquarters in June, but otherwise, there has been little fanfare for the fallen. Which is why Richer's mission is so unique. Richer and his wife, Kim, are on the third day of biking some 3,200 miles across America from Jacksonville, Florida, to San Diego, California, to help raise the profile of, and money for, the CIA Officers Memorial Foundation, an organization that helps to pay for schooling of kids of fallen officers. The only living member of the military to be decorated with the U.S. Medal of Honor since the Vietnam War received a phone call of thanks and congratulations last week from President Barack Obama. Rose Giunta, mother of U.S. Army Staff Sergeant Salvatore Giunta, told a Cedar Rapids news station that her son was profoundly touched by the honor bestowed on him. Yet the deadly ambush, in which he lost a friend, was having a deep effect on him. 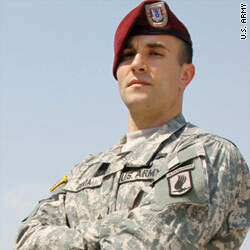 Giunta, 25, was on patrol in Afghanistan during the attack when his body armor protected him from what could have been a fatal bullet wound to the chest. Recovering from the blow, he saved two colleagues, and then recovered a mortally wounded soldier from two insurgents. He remained with the soldier until help arrived. Giunta’s mother, who will not see her son until he returns to Washington to accept the award, described the award as bittersweet. “As much as we're here because of what Sal did,” she said, “there's parents out there that will not know, they'll never know what this feels like. And yet, their sons and daughters deserve this too." progress has been made in expanding access to higher education, it's time to "take stock of the work we have left to do." The president's remarks helped kick off National Historically Black Colleges and Universities Week. You have "waged war against illiteracy and ignorance and won," Obama said at the White House. Historically black institutions of higher education have "made it possible for millions of people to achieve their dreams." 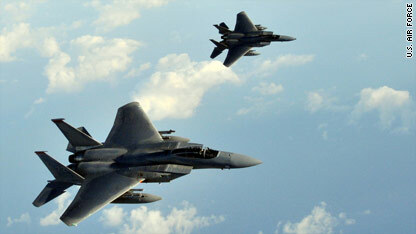 Boeing F-15 fighter jets like these would be a large part of the reported arms deal. The United States may be on the verge of its largest arms sale ever, a package of aircraft and weapons systems for Saudi Arabia that could total $60 billion when the final bill is done, according to a report in Monday’s Wall Street Journal. If completed, the deal could also generate more than 75,000 jobs, the Journal reported. The Obama administration is expected to notify Congress of the planned sale this week, according to the Journal report. Production would take place over five to 10 years, the Journal said. Key components of the sale would be Boeing F-15 fighter jets – as many as 84 new ones and the refurbishment of 70 others – and helicopters including 70 Apaches, 72 Black Hawks and three dozen Little Birds. Filed under: Saudi Arabia • U.S.
Iran hiker release - Sarah Shourd, one of three American hikers detained in Iran for more than a year, could be released as early as Monday once $500,000 is submitted to the Iranian judiciary. "Everything is in place for the release," said lawyer Massoud Shafii, who got to see the hikers for the first time on Sunday. "It's up to the family when to deliver the money." The official Islamic Republic News Agency reported earlier Sunday that Shourd will be released if bail worth about $500,000 is submitted to the Iranian judiciary. San Bruno fire –– As Walter McCaffrey and his wife, Cherry, stood on their balcony Sunday in San Bruno, California, there was a sigh of relief amid the devastation all around their two-story home. A final report says a torpedo caused shockwaves that sunk a South Korean ship killing 46 sailors. South Korea on Monday released its final report on the March sinking of the warship Cheonan, reaffirming that a North Korean torpedo sent the Cheonan to the bottom of the Yellow Sea, killing 46 sailors. The full report, prepared based on an investigation conducted by South Korean, U.S., Swedish, British and Australian officials, offers new details to back up May’s preliminary report on the incident. 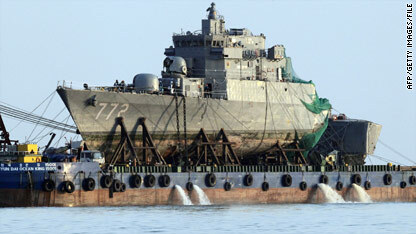 “The ROK Navy ship Cheonan was sunk by a North Korean torpedo attack while conducting a normal mission in the vicinity of Baengnyeong Island at 09:22 p.m. on March 26, 2010,” the English-version of the report says in its conclusion, according to a Korea Times report. The report says the torpedo did not strike the ship, but the shockwave generated when it exploded nearby split the Cheonan in two. "The detonation location was 3 meters to the port from the center of the gas turbine room and at a depth of 6 to 9 meters. The weapon system used was a CHT-02D torpedo with approximately 250 kilograms of explosives manufactured by North Korea." South Korea’s Yonhap news agency quotes the report as saying. 8:00 am ET - Imam Feisal Abdul Rauf speaks - The imam behind a proposed Islamic center near New York’s ground zero speaks at the Council on Foreign Relations in New York. 10:00 am ET - Obama addresses HBCU reception - President Obama makes remarks at a Historically Black Colleges and Universities reception at the White House.